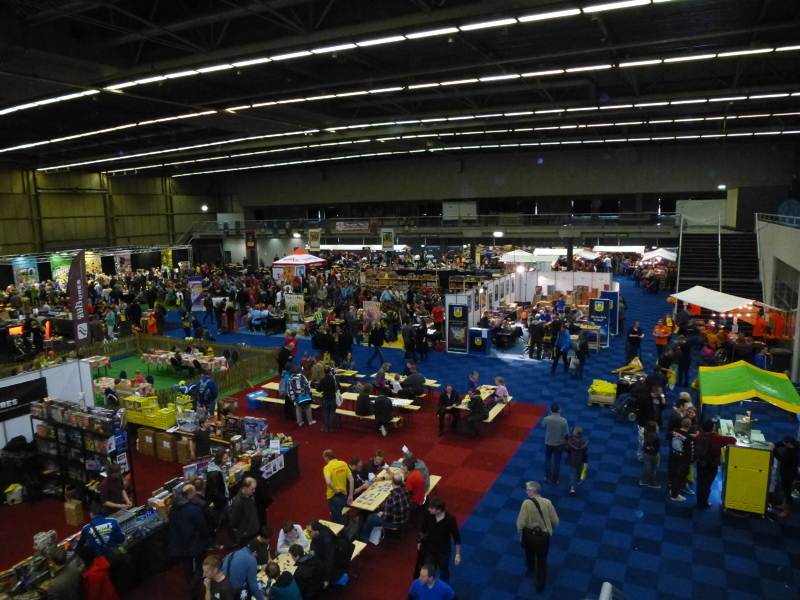 After SPIEL in Essen I had the chance to attend Spellenspektakel, formerly known as the best and biggest convention in the Netherlands, before it died due to mismanagement and a move to another location. Now it has been successfully revived by new experienced organizers and had a glorious return to Eindhoven. The show was really cool and absolutely worth the trip. See for yourself at our Flickr account. I am pretty sure the estimated 6,000 visitors will return again next year, as will the friendly MIBs of Steve Jackson Games, with delegations from at least two European regions.